The Capitol building in Washington DC is sometimes referred to as the People’s House; a great gathering place where the exchange of ideas (some new, some radical, some contradictory) is put forth in our most furious display of democracy. If this congressional meeting place is the People’s House, then Broadway, with all its musicals and epic dramas, could be seen as the People’s Theater, where the exchange of the most prescient American issues is tramped upon the stage with appropriate glitz and glamour. Or so Tribune critic Chris Jones proposes in a fascinating little treatise called Rise Up: Broadway and American Society from Angels in America to Hamilton. The book, as the subtitle would suggest, attempts to trace the line from Tony Kushner’s watershed epic to the equally groundbreaking musical by Lin-Manuel Miranda (it’s no coincidence that central characters in both of these plays are incredibly political–in this critical universe, politics and important works are unavoidably linked) and Jones does so through a series of touchstones, moments where the marriage of society and popular art seem to have been in apparent, if not always perfect, conversation. So then what makes these shows stand out, amongst the hundreds of lesser shows to open and close throughout the Great White Way’s storied history? What made Metamorphoses, Wicked, Avenue Q, or The Lion King smash hits (or, in the case of Julie Taymor’s Spider-Man: Turn Off the Dark, a colossal failure)? Broadway audiences, Jones continually asserts, require sentimentality and love; it takes a special kind of artist to balance big, urgent ideas with real, human emotion. It is important to entertain and emotional engagement is key. Some of the book’s detours seem more appropriate than others; a section on Broadway shows being built for Las Vegas transfer is tedious, and there’s so much talk about producers and profits that one wonders if the book hadn’t meant to be a history of Broadway investments (then again, this is FOR-profit theater, where money is inextricably linked to a show’s identity). Other times Jones’ threads seem unconsciously esoteric, as he reaches to make grand societal connections in service of his patchwork (consider his opening for the chapter on Edward Albee’s The Goat, or Who is Sylvia?, where he attempts to link Arthur Miller’s death with the rise of YouTube). And then there’s the frame; we know Jones is always heading towards 2015’s Hamilton, but he often reminds us in clumsy asides that feel like a wink rather than useful commentary. At times like this, it feels like the material would have worked better as a longer piece or a series in the Tribune rather than a full length book. For better or worse, the point of view of a newspaper man is never far away, and Jones even quietly bemoans the cultural implications leading to the demise of his very job. But there is much to be praised, and so often the details are beautifully stated in the author’s clean, accessible voice (a drinking game could be devised with how many times the word “populist” appears). When Jones launches into full blown narrative mode, painting the scene of the Hamilton cast lecturing Mike Pence or the tone of New York City on September 13, 2001, the day after Broadway reopened after the terrorist attacks, his gift for empathic dictation is rendered in its fullest. Jones’ prowess as a critic is on great display here; shows you’ve never seen come startlingly alive on the page, their essence boiled down, their heart and soul expertly explained. What shines through most is Jones as a giddy chronicler of ideas and a lover of the theater, eager to draw the line from his own knowledge of the art form to what is happening offstage. By the time we arrive at Hamilton, there is a breathtaking quality to the writing, as if we’ve come to realize that there was no stopping the inevitability of the show arriving on Broadway. Jones demonstrates great love for Miranda’s work, and an appreciation for him as a singular artist; it’s easy for the reader to get wrapped up in the critic’s enthusiasm–he has never witnessed something with this much immediacy and momentum. Successful Broadway shows, Jones says, are attempts at national definition and the promotion of activism, and Hamilton seemingly contains all this and then some. And, not surprisingly, Jones maintains his love for Chicago throughout the book, highlighting this great theater town’s importance as a pipeline for excellent drama and world class innovation. He asserts that Tracy Letts’ August: Osage County was crucial in getting Hamilton to New York, writes about the Goodman, Northlight and Second City, and even makes sure to mention Chicago’s actor/director David Cromer by name. But nowhere is Chicago more central than in Jones’ account of Raisin in the Sun‘s Denzel Washington-led revival. Lorraine Hansberry’s play contains the social justice heart of this city, and Jones is quick to point out the Obamas’ enthusiastic reception of the staging. Rise Up begins, after a brief prologue, with Angels in America, and ends with Hamilton‘s historic Tony win–becoming an open-ended manifesto for love in the face of hate, unity in the face of divisiveness. If the book closes on a bit of a sour note, with the American future feeling very much uncertain, it doesn’t seem so much a display of Jones’ own personal politics (though Obama is a central, revered figure in this narrative, and the 2016 election is mentioned with grim fatalism) as an assertion that the times have forced Broadway into politics in a way we’ve never seen before, and that Hamilton opened the floodgates for stories from new perspectives to be told on the biggest stages in the world. And through this Jones makes a great claim for the critic as an historian. Rise Up: Broadway and American Society From Angels in America to Hamilton (2018, paperback, 240 pages) is now available from Methuen Drama. Do you enjoy this review of a book by a local theater critic? 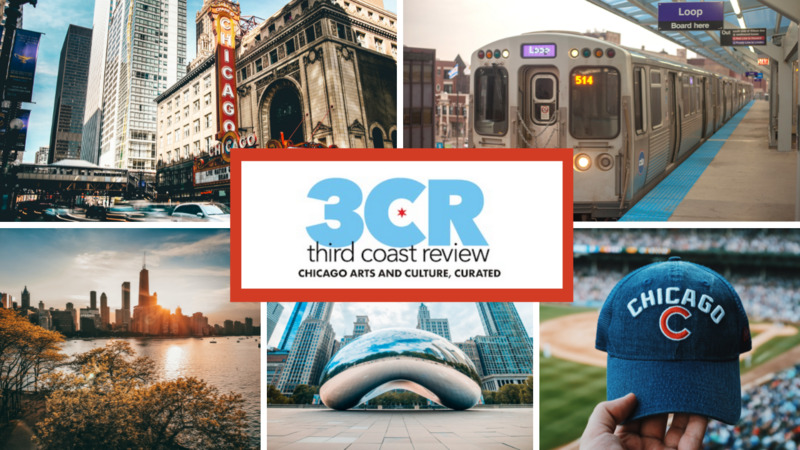 Third Coast Review gives you a look at Chicago theater and all the other arts. Please consider supporting Third Coast Review’s arts and culture coverage by becoming a patron. Choose the amount that works best for you, and know how much we appreciate your support!